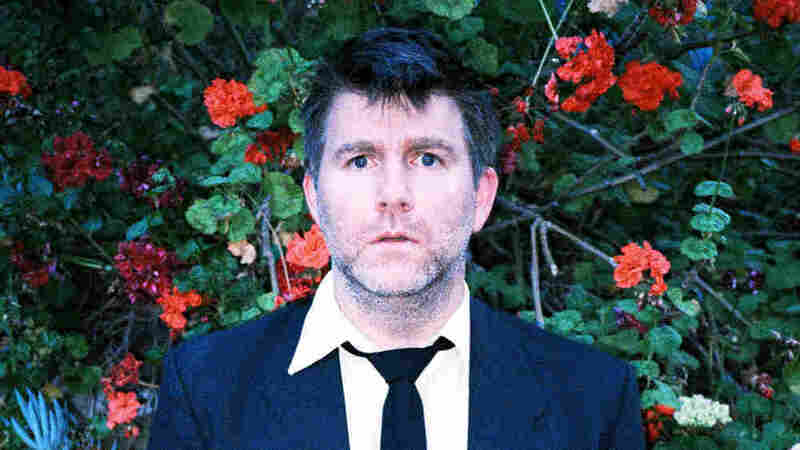 LCD Soundsystem's James Murphy: The Fresh Air Interview The pop-dance-electronic group's founder tells Terry Gross why he stopped complaining about other bands and decided to start making his own music instead. 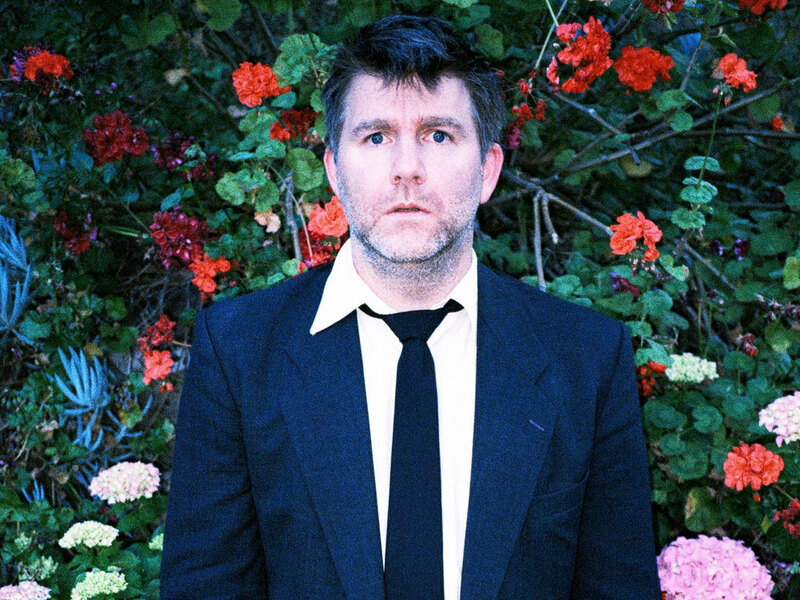 When James Murphy was 22, he was offered a writing job on the sitcom Seinfeld but turned it down to focus on his musical career. This interview was originally broadcast on June 21, 2012. The new film Shut Up and Play the Hits documents LCD's Soundsystem's farewell concert at Madison Square Garden. When LCD Soundsystem frontman James Murphy attended live concerts, he says he always felt like there was something missing. "I'd start to see bands prioritize things wrong in my mind," he tells Fresh Air's Terry Gross. "[They weren't] prioritizing the momentness of a show or the physical experience of a show. Instead, they [were] prioritizing making sure they didn't make mistakes or prioritiz[ing] trying to faithfully represent a prerecorded piece of material." When Murphy hit his early 30s, he says he decided that he would stop complaining and instead make his argument for better live music by composing and performing his own compositions. The result, LCD Soundsystem, combines a funky mix of dance music, pop, electronic tracks, indie rock and disco, along with other experimental styles. Murphy, who had worked as a DJ and party promoter, began the group in 2002 with the humorous eight-minute single "Losing My Edge." It is an anthem, he says, to growing older and realizing that musical styles change with generations. "It's really from a specific time in my life more than it is about it," he says. "From when I had started DJing and I hadn't released any records ... and for the first time in my life, I was almost cool. ... And I went to a punk show, and between the bands, somebody was DJing. And that wasn't done. And I remember thinking, 'Hey! That's my thing.' And they were playing some of the records I played, and I got really upset, and they were like 23, 24 — and I was really mad. And then I started getting very embarrassed that I was getting mad, because I remember being in a young band when I was 23, 24 and talking to this guy who was like ancient — I think he may have been 28 or 29 — and he was talking about how kids now, the guitar sounds aren't good, and I remember thinking, 'Oh, man, you never say that.'" Murphy's latest album, This Is Happening, again combines a number of musical elements with self-effacing humor. He's said that this album, his third, may be the final full album he releases under the name LCD Soundsystem. "It's become my whole life, which I've become very happy about," he says. "It's a wonderful life. I love being in this band. But to do a band properly does kind of mean you don't really get to do anything else. Now I also have a record label (DFA) and I'm a producer, I design equipment, I like to write — there are a lot of things I'd like to do that I can't really do because I have this job. So I thought like three albums — a nice trilogy over a decade — it feels like a good time to stop being a professional band. That doesn't mean LCD will stop. It just means I'll go back to the beginning: releasing a track here and there or being more fluid about my decision-making rather than albums, videos, singles, tour. Rather than this professional arch of being in a band, I'd like to go back to being a person who decides what he likes to do and pursues something new once in a while." "I'm not a big songwriter guy. People who are really good singer-songwriters usually left me kind of cold. I've always been more of a physical music person even when I didn't listen to dance music; I didn't quite realize it, but the punk bands I liked had a kind of physicality that I really liked. Lyrically and vocally, I was never all that interested in melody or great voices, and musically, I was never that interested in chord changes. I always liked to find something that kind of did one thing for a really long time and did it very well — or just had a physicalness to it that I really liked." "After being involved in self-involved punk bands my entire life, you think about what it is you want to make — who it is you want to be. But DJing and finding dance music was much more of a communication device. It was very blatant. If people aren't dancing, you're not doing a good job. You can't make any other argument about it. There's something simple and workmanly about it that I really liked. And it changed making music for me because suddenly I wanted to make music; I wanted to make songs — I stopped being in bands when I was 26, so I took three years off and I wanted to do it again, because suddenly there was an actual quantifiable way [to see] if you were doing your job. People danced or they didn't. And if they did, then you're doing your job, which was a really nice thing to finally be able to learn." "My high-techness is pretty low-tech. I'm not wildly computer savvy. I'm a record person. I still feel like if I don't have the vinyl, I don't own it. Even if I have the CD, I don't feel like I own it. CDs always felt like cassettes to me — partially because the industry decided to put them in basically a cassette box even though they had a perfectly good, round object that could have gone in a tiny record sleeve — I'll never understand that one. But they decided to put it in a cassette box. I'm not that worried, because I think things change, and I think my experience of buying records was very different than my brother's or my father's before me. And people's experiences in the 1990s were different than my experiences of the '80s when buying their first records. It just changes. I'm not that worried." "I was a singer-guitar player as a kid, a.k.a. I was a self-important, pretentious jerk as a kid — and controlling, you know, teenager. I started playing in my first band when I was 12. I like to date myself by saying I was in a New Age band when it wasn't ironic; it was actually called new wave because it was new. So all through high school, I played guitar and moved to New York when I was 19. And I started thinking, well, maybe the guitar wasn't for me. ... And then I started playing drums and I thought, 'These are great. You hit them harder and they get louder.' So I started being a drummer in bands. I think now I've settled on the fact that the instrument that is most for me is the bass guitar, because it's somewhere between the two. It's like the workhorse, and you can play it very physically and it delivers a lot more punch in the stomach, but it also can drive the song around. It's a rhythmic instrument, but it's also a melodic instrument — or at least a tonal instrument."